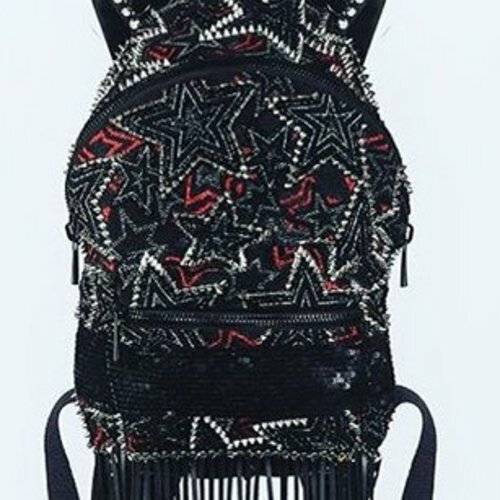 The Sirius bag features red and silver star embellishments with a large front pouch. 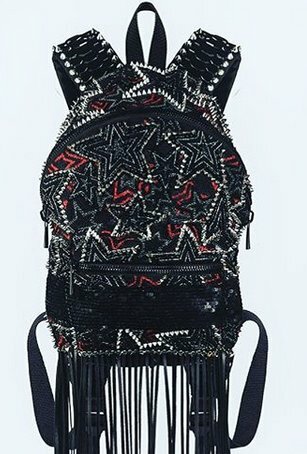 The wide straps are embroidered with metal studs. Made from real leather, the bag includes fringe that drapes down the back.